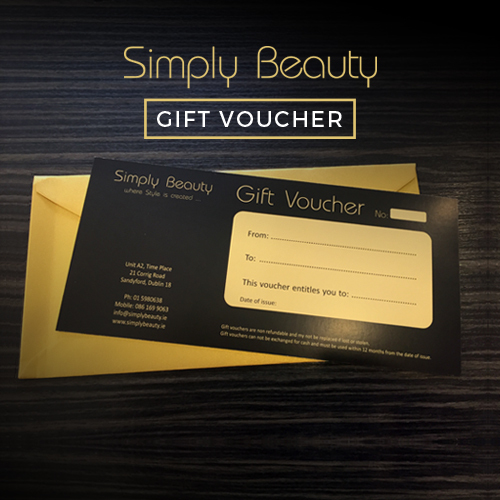 Simply Beauty Gift Vouchers have a 12 month life span, allowing each customer plenty of time to pick and choose when they would like to be treated by our therapist. You can buy Simply Beauty vouchers online (click on your preferred voucher amount opposite). We are happy to post our Gift Vouchers directly to yourself or the receiver for a charge of €2.00 per voucher. Or please feel free to phone or email the Simply Beauty Team, and we will be more than happy to organise your Gift Voucher straight away.